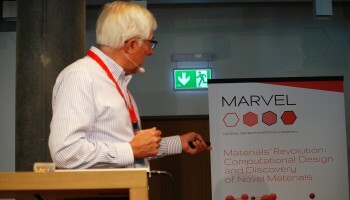 Materials Science Day — "Very interesting: top rate presentations and good discussions"
More than 50 people from the materials science scene in Switzerland gathered in Bern on Thursday, 4 October to learn about ongoing CCMX and NCCR MARVEL projects and network. The second Materials Science day featured both experimental and modelling approaches to current challenges in materials science. The morning gave an overview of NCCR MARVEL and examined the work being done in the modelling of metals and various applications. First, Prof. Bill Curtin, a member of the executive committee, gave an overview of phase II of MARVEL including six Design & Discovery projects and two Incubators. A presentation about a collaborative project showed how researchers can use computer simulations to predict the color of gold alloys. Curtin then explained the secrets and challenges of multiscale mechanics modeling of light metals such as aluminium, magnesium and precious alloys. Finally, a Novelis researcher shared practical examples of how modeling is used for mechanical prediction. 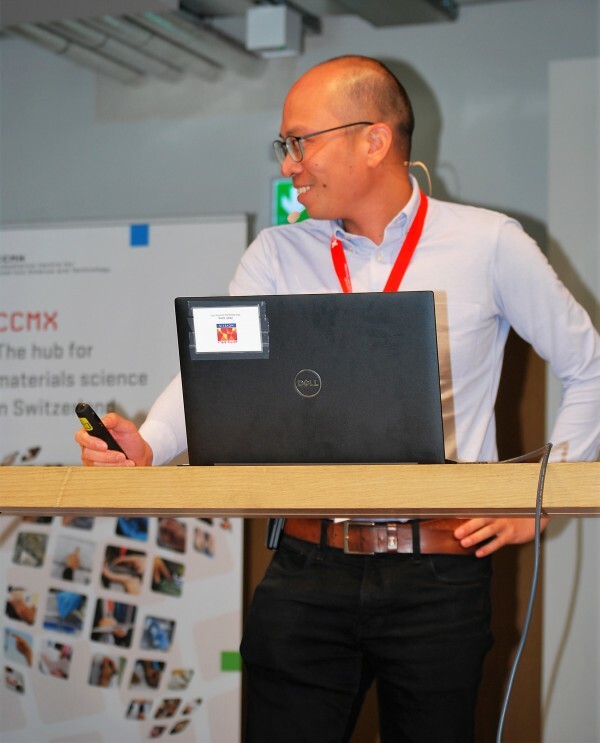 During the afternoon, the five CCMX Materials Challenges presented their research on topics ranging from coatings to additive manufacturing, from fiber science to nanoparticles and 2D materials. The talks were bolstered by a session with more than 20 posters as well as a hands-on demonstration of the Materials Cloud platform. Those who are interested in following NCCR MARVEL’s research can find more information on the website or by subscribing to the scientific or industrial newsletters. 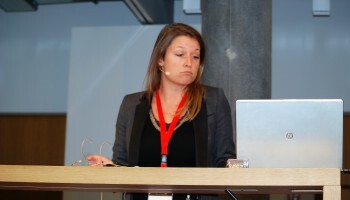 Companies can also contact Pascale Van Landuyt, Industrial Liaison Officer, to establish a first contact and evaluate potential collaboration. CCMX invites those who are interested in learning more about various courses and activities to browse the website or to sign up for their newsletter by sending an email to Carey Sargent.